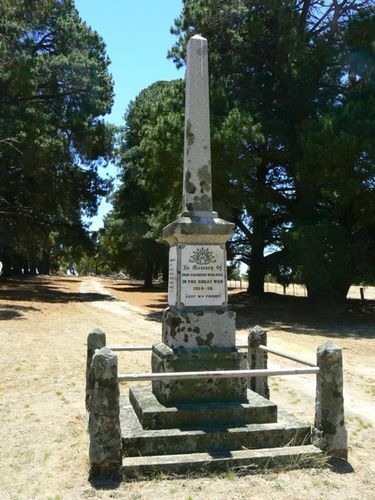 The Concongella War Memorial in the cemetery contains the names of 14 soldiers who died in service or were killed in action during World War One. It was unveiled during Easter 1922 by Mr R.F.Toucher M.L.A. Granite obelisk on an elongated base and stepped plinth.